GATHERING TO DELIVER THE BEST OF OURSELVES. Linking events strategy to business goals. Applying blueprint methodology that proves value. Leveraging top talent network = efficient strategy for success. 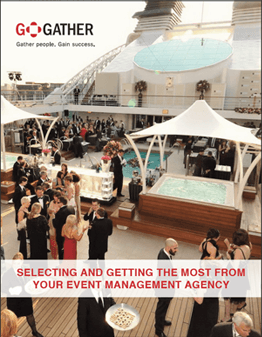 In 2008, as the U.S. recession began, we started GoGather, our meeting and event agency. While it was a challenging time to launch a company, we saw a definite need for our services. As businesses reacted to the economic downturn, many began canceling events, slashing annual budgets and reducing staff. Our opportunity? Help companies build a new, strategic vision for their meetings and events by tying them to the overall business goals and incorporating event measurement techniques to prove the value. We boldly opened our doors, confident in our methodology for designing events as essential tools for business. Tough times also required us to focus on operating efficiently in our own business, an approach we continue to practice today. We’ve embraced the idea of our team members working remotely from home offices with flexible schedules. We use innovative technologies as our virtual office, keeping our overhead low while expanding avenues for collaborative communication. Instead of investing in buildings, we invest in tools to better serve our clients that also keep our fees among the lowest in our industry. Our past has challenged us to be the best at what we do. We now integrate a network of professionals working from locations across the United States and globally. We call upon the top talent needed for each event, effectively serving clients from entrepreneurial start-ups to Fortune 500 companies across multiple industries. Why do these companies turn to us for support? Because we’ve shown them how meetings and events deliver proven returns to the bottom line. Our method provides a blueprint for improving results while reducing spend by 10 to 20 percent. We’re quite proud of what we’ve built from lessons learned during tough times. And most importantly, what we’ve achieved for our clients. Contact us. We’d like to learn about your needs and discuss how we can help. We are GoGather. Gather People. Gain Success. Everyone on the GoGather team was super approachable day or night. They’re very positive, proactive and results oriented.